If some countries have too much history, we have too much geography – William Lyon Mackenzie King. Sometimes enquiry in the travel agency on particular destinations comes in waves. Last week was a Tsunami of clients wanting to do Canada and Alaska which came seemingly from no where but likely influenced by recent television advertising from the big tour companies. The Australian market for Canada and Alaska is heavily influenced by one big player, Scenic Tours. Around twelve years ago Scenic Tours launched a game changing tour itinerary that combined a coach tour of the Rockies with the Rocky Mountaineer Train trip and an Alaskan cruise of the Inside Passage. The 21 day itinerary was plugged so heavily in the media (Scenic really know how to market their products) that for the following five years it was one of the highest selling travel products in the market. The luxury standard of the tour with the use of the Fairmont properties and the price bracket that came with this (upwards to $12000 a head) it was something that really only appealed to an older market. Over the years the interest in these tours has levelled out and the introduction of European River Cruising saw a change of focus for this 50's up market. What the relentless advertising has done though is cement in the minds of potential Canadian/Alaskan travellers that there is only one way to see this region and that could not be further from the truth. Whilst Scenic's all inclusive itinerary absolutely has it's place, and for the right person it is a trip of a lifetime, there are other ways to travel. A lovely client presented to me last week, the first of many that week wanting to head to the Rockies and Alaska. He had seen the marketing for the Scenic Tour. He was vaguely interested but I could sense the hesitation not only in relation to the price bracket but the uncertainty that this was the right product for him. Of course I took this hesitation and ran with it. Whilst it would be easy money for me to convince him that Scenic was exactly the right product for him and with my first hand experience on a Scenic Tour of Canada I can highly recommend it, it would be an easy sale. One phone call to make the booking, an hour on the paperwork and bam our agency would make significant commission for the booking but I knew he was exactly the right person who could be interested in small group touring. I am not the kind of agent who goes after the easy money. I want to ensure the right product is matched up to the right client. Enter Peregrine Adventures, small group adventures specifically aimed up an over 40's age group. I have been privileged to undertake a tour of Italy with these guys and I have been hooked on the product ever since. It is all about really experiencing a destination, getting in depth, staying in boutique accommodations with local atmosphere, eating local food, using local transport, travelling with a local tour guide who knows the region in depth. This is travel for people with curious minds who don't want to be lost as a number in a large tour group. I went through the product with the client and he was thrilled. He had no idea you could travel like this and was particularly intrigued by the 19 Day Alaska, Yukon & Arctic Circle Tour. The tour itinerary was worlds apart from the Holland America Cruise in Alaska offered as a part of the Scenic Tour & whilst the client enjoys cruising he knew that he was not going to see much of the real Alaska. As we discussed the cruise we covered his concerns of being docked in these small Alaskan towns with any number of large cruise ships each holding countless thousands of people. There is also no ability to head inland as the cruise sticks to the coastline, he had more concerns over the cruise than positives so having a land based tour that goes deep into Alaska was extremely appealing. This particular itinerary is a little different to a standard Peregrine Tour so the client needed to consider the activity level and camping involved in this one as it is quite an active and adventurous trip but with over a year to get in shape for it there is plenty of time to make the proper preparations. He was also quite taken with a Canada itinerary that covers the same ground in the Rockies as Scenic but again in a small group format. The 13 Day Canadian Rockies and Vancouver Island was just the ticket. A way to see to beauty of the Rockies but not confined to a large tour bus as one of fifty other people. 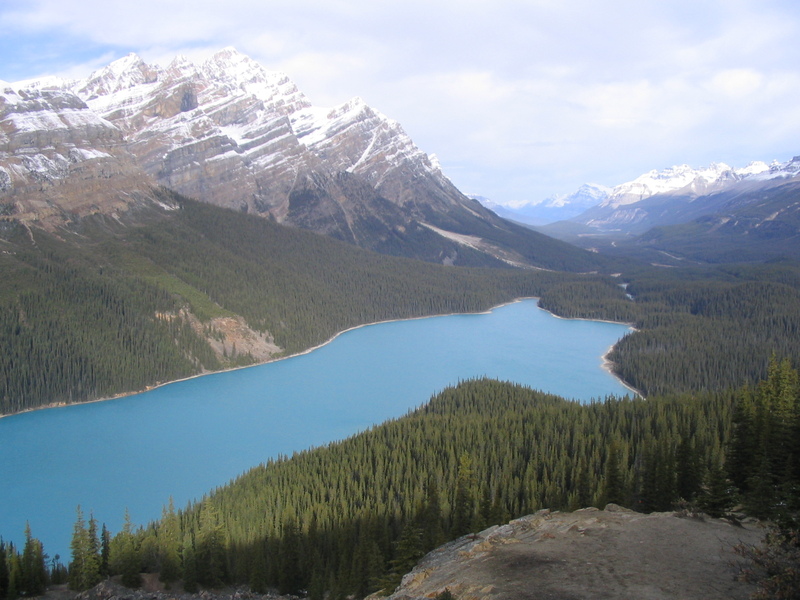 Also being a one way itinerary it leaves the perfect place to slot in the Rocky Mountaineer Train if the client wishes to travel between Vancouver and Banff utilising the tourist train. Interestingly though if you take these two tours and do them back to back you are in the price bracket of the Scenic Tour but as it was exactly what the client was looking for he was not so concerned about this. It becomes value for money when it meets your expectations. There is nothing of lesser value than paying for something that does not suit your needs. Another very satisfied customer and a happy travel agent. It thrills me to introduce customers to options they may have not known existed and matching up their personalities to the perfect form of travel for them. What Is It About Street Food?